Born in Montpellier (Languedoc-Roussillon Province), to extremely poor parents, young Jérôme was adopted by his godmother who was better able to provide a proper education. This circumstance must have affected him profoundly because he would remain frugal his whole life. When traveling, he carried nothing but an extra shirt, tucked into his coat pocket. He was an open minded, generous person who judged others on their fruitfulness of mind and never excluded those more privileged. At 17 years old he enrolled in the École de Pharmacie, Montpellier. There, he became eligible for the assistant position in the Chemistry lab. In 1824 he was investigating the salt marshes near his home, taking samples of seawater and plants back to the laboratory for further inquiries. In the course of these investigations, he hit upon the idea to extract the brines from seaweed and further reduce the solution. Seaweed was the usual source of iodine, but Balard thought about distilling the iodine, to see if there was something beside. This resulted in a red fluid, which he found was very much like iodine and chlorine. He tested to see if it was some sort of compound of the two, but after many attempts to decompose, he concluded that it was a simple body. If he was right, it meant that he had just discovered a new element. He wrote a thorough report on his procedure, calling it, ‘Mémoire sur une substance particulière contenue dans l’eau de la mer’ (Report On a Particular Substance Contained In Seawater). Wishing his experiments to be repeated by the scientific authorities in Paris, Balard sent them his treatise along with a sample of the substance which he named ‘muride’ from the Latin muria, meaning, brine. At the Academie des Sciences, Thénard, Vauguelin and Gay-Lussac were charged with passing judgment on this new substance. In their report of 1826, they felt that it was probable, very probable that this muride was an element but hesitated to pass final judgment. Regardless, they were so impressed by Balard’s work, by the clarity of his research and experiments, that they published his findings in the Annales de Chimie et Physique while extending him an offer to come to Paris. 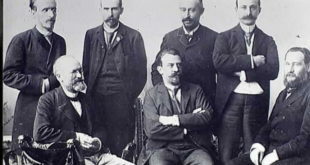 Later, the results were confirmed by the Institute, who rejoiced in this discovery, taking issue only with the name, because of the precision of the French language. Gay-Lussac proposed that ‘brome’ would be more suitable, which utilizes the Greek word for ‘stench’. And thus, Balard had discovered bromine. For the next 30 years, Balard’s method of preparing bromine was used by photographers to develop their film. In 1858, a more pure source was found in the salt flats of Stassfurt, Germany. Bromine salt was discovered 85 to 100 feet below the surface, and when mined, greatly reduced the cost of production. So Balard’s technique was phased out, but he and his countrymen Nicéphore Niépce and Louis Daguerre, have brought honor to France by their contributions to photography. After graduating in 1826 he took a position at the Pharmacy school of Montpellier teaching Chemistry. He continued his chemical analyses throughout his teaching career. If he was in the salt marshes, he would hike 15 miles to the school and sleep in a ditch in order to arrive on time to teach his class. During this time he constantly perused applications for Chemistry. He sought a means of producing more industrial chemicals, at lower cost. After many years, there was finally an opening for him in Paris. Balard succeeded Thénard at the Sorbonne where he made other discoveries, such as hypochlorous acid. In short time he was elected to the Academie des Sciences, the most distinguished honor for a scientist. Later, he joined the École Normale where he procured a few rooms to establish another laboratory, a private one, which had to be kept secret for years due to the fact that the supervisors would never bestow such luxuries upon a mere professor. Eventually becoming chief lecturer, it was no longer necessary to keep his facilities a secret. In 1851, he was appointed to the Collège de France, where he remained until his death. As an undergraduate, Pasteur would spend his free time in Balard’s laboratory, taking lessons from his assistant. When Pasteur completed his agrégé (bacheloreat), he would have been depolyed to one of the Facultés, as was the custom in France, but he wanted just the opposite. He dreaded being exiled far from his mentors. He appealed first to Dumas, to allow him a rôle as assistant; but it was Balard who came to the rescue. Balard lobbied vehemently for Pasteur to be allowed a few more years at the École, as his own assistant. It was in that very laboratory where a 26 year old Pasteur made his brillient discovery in crystallography. It was Balard too, who praised Pasteur before the members of the Academie. That is in fact how Biot first learned of Pasteur’s talent. 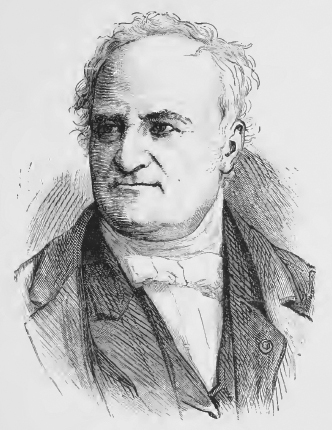 Balard made several attempt to have Pasteur conducted into the Academie; first, in the Physics section, later in Botanical, and finally in the Mineralogy section. 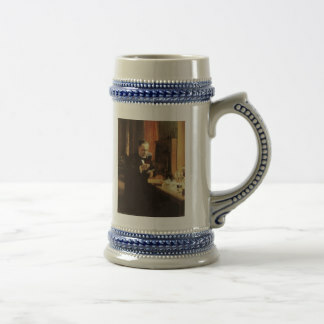 Balard was always making the rounds to see what other scientists were doing. He was known as a helpful and a disintersted person. His contemporaries trusted him to examine their work, to inquire about their conclusions before publishing. He must have seemed more interested in the work of his students than in his own researches, given the amount of time he devoted to nurturing their hypotheses. In the years devoted to spontaneous generation, it was Balard who concieved of the experiment in the swan neck flask to prove that there are germs arrested in the neck and that when a drop of liquid is poured into the bend, that the interior liquid has not lost its progenative power. 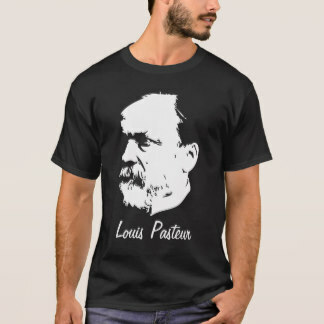 Pasteur united this to his many experiments on fermentation and ultimately defeated Heterogenia (spontaneous generation). Still, the opposition was immodest, and even impetuous in their harassment of Pasteur. Balard consoled his protégé saying, “You should criticize results, not hypotheses.” By this he meant that Pasteur had accomplished more than enough to stand above the scruples of unproductive critics. 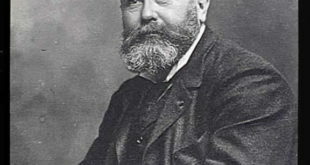 Professor Balard was very conscious of the scientific genoeology which had made France singular in advancing the knowledge of Physics and Chemistry. 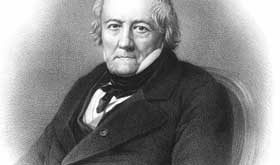 He evoked the names Lavoisier, Bertholet and Gay-Lussac to name a few. When he spoke of his predessesors, they were brought to life, and Balard had a special way of making his students feel connected to that legacy.